With hundreds of lakes and rivers, Vancouver Island offers plenty of opportunities for freshwater fishing. Many lakes are stocked, mainly with a variety of trout including rainbow and cutthroat. The Ministry of Fisheries publishes an annual booklet on freshwater fishing. 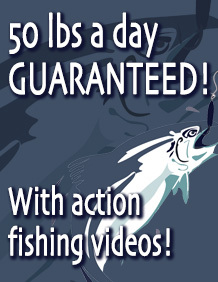 Available at and marine stores, this booklet tells you what restrictions apply. Note: Some areas have been closed to fishing due to stock limits. Try your luck at some of the hotspots listed below. Sooke River – The Sooke River has both winter and summer runs of steelehead. This is a catch and release river. The river is also home to cutthroat and rainbow trout. Access is by Sooke River Road, 40 kilometers west of Victoria. San Juan River – On the west coast near Port Renfrew, the San Juan River has steelhead fishing on a catch and release basis. There also some trout. 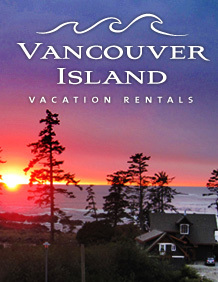 Access is by logging road out of Port Renfrew, 110 kilometers west of Victoria. Cowichan River – This very popular river has steelhead, chinook and coho salmon, cutthroat, rainbow and brown trout. Access is by Hwy. 18, north of Duncan, 60 kilometers north of Victoria. Nanaimo River – Another very popular river, the Nanaimo has steelhead and coho salmon, cutthroat and rainbow trout. Access is from the Island Highway, Nanaimo Lakes Road and Cedar Road, just south of Nanaimo. Englishman River – South of Parksville, the Englishman River has steelhead, cutthroat trout and chinook salmon. Access is off the Inland Island Highway and the Island Highway, 30 kilometers north of Nanaimo. Little and Big Qualicum Rivers – These two rivers have steelhead, cutthorat trout, chinook and coho salmon. Access is off Hwy. 4 (the Port Alberni Hwy. ), near Parksville. Stamp River – This river has both summer and winter runs of steelhead, cutthroat trout, chinook and coho salmon. Access is off Hwy. 4 (the Port Alberni Hwy. ), west of Parksville, via the Beaver Creek Road. Oyster River – This river, midway betweenCourtenay and Campbell River, has steelhead, pink and coho salmon. Access is off the Island Highway. The Oyster River is 120 kilometers north of Nanaimo. Campbell / Quinsam Rivers – These two rivers at Campbell River, have steelhead, cutthroat trout, chinook and coho salmon. Access is all along Hwy. 28 (the Gold River Hwy. ), west of Campbell River, which is 150 kilometers north of Nanaimo. Gold River – This river is world-renowned for its winter run of steelhead. There’s also a summer run, plus some chinook salmon. Access is off Hwy. 28. Gold River is 250 kilometers northwest of Nanaimo. Salmon River – This river is known for its steelhead, cutthroat trout and chinook salmon. The Salmon River is at Sayward, 250 kiometers north of Nanaimo. Cusheon Lake – On Saltspring Island, Cusheon Lake is stocked with cutthroat trout. Smallmouth bass are also present. Access is by ferry from Swartz Bay, north of Victora. Elk and Beaver Lakes – On the Saanich Peninsula, these connected lakes are known for their rainbow and cutthroat trout and smallmouth bass. Access is off the Patricia Bay Highway, 15 kilometers north of Victoria. Spectacle Lake – Thirty kilometers north of Victoria, Spectacle Lake is the only Vancouver Island lake with eastern brown (speckled) trout. Access is off Whitaker Road, via the Trans Canada Highway. Shawnigan Lake – South of Duncan, Shawnigan Lake has rainbow and cutthroat trout and smallmouth bass. Acess is via Shawnigan Lake Road, 35 kilometers north of Victoria on the Trans Canada Highway. Cowichan Lake – This very popular lake has rainbow, cutthroat and kokanee trout. Access is by Hwy. 18, 65 kilometers north of Victoria. Nanaimo Lakes – This chain of very popular lakes have rainbow trout. The main access is off the Nanaimo Lakes Road, just south of Nanaimo. Boomerang Lake – Near Nanoose, this lake is stocked with rainbow and cutthroat trout. Access is off the Island Highway, 15 kilometers north of Nanaimo. Sproat Lake – West of Port Alberni, this large lake offers rainbow and kokanee trout. Access is by Hwy. 4 (the Port Alberni Hwy. ), 30 kilometers north of Nanaimo. Bonanza Lake – South of Telegraph Cove, Bonanza Lake has rainbow and cutthroat trout. Access is via logging road off the Island Highway. Telegraph Cove is 320 kilometers north of Nanaimo. Buttle Lake – Southwest of Campbell River, Buttle Lake has rainbow, cutthroat and bull trout. Access is via Hwy. 28 (the Gold River Hwy. ), west of Campbell River. Campbell Lake – West of Campbell River, this lake has rainbow, bull and cutthroat trout. The lake is accessed via Hwy. 28 (the Gold River Hwy. ), out of Campbell River, 150 kilometers north of Nanaimo. Comox Lake – Southwest of Courtenay, Comox Lake has lots of cutthroat, rainbow and kokanee trout. Access is by Lake Trail Road out of Courtenay or the road to Cumberland. Courtenay is 60 kilometers north of Nanaimo. Main Lake – On Quadra Island, Main and its connected lakes are good for trout. Access is via Hyacinthe Bay Road on Quadra, which is accessed from the ferry terminal in Campbell River, 150 kilometers north of Nanaimo. Nimpkish Lake – This huge lake south of Port McNeill, has rainbow and cutthroat trout. Access is via any number of spots along the Island Highway. Port McNeill is 350 kilometers north of Nanaimo. Victoria Lake – South of Port Alice, Victoria Lake has rainbow and cutthroat trout. Access is via the Port Alice Highway, west of Port McNeill. Port McNeill is 350 kilometers north of Nanaimo.